This hotel refurbishment, phase one, is being carried out on behalf of the Castlecary House Hotel based in Cumbernauld, Glasgow. Allstar Joinery is proud to be the Main Contractor on this long term project with a successful local Cumbernauld hotel. The video via the link below displays a snapshot of the quality work being produced by the team on this project by Allstar Joinery based in Cumbernauld, Glasgow. 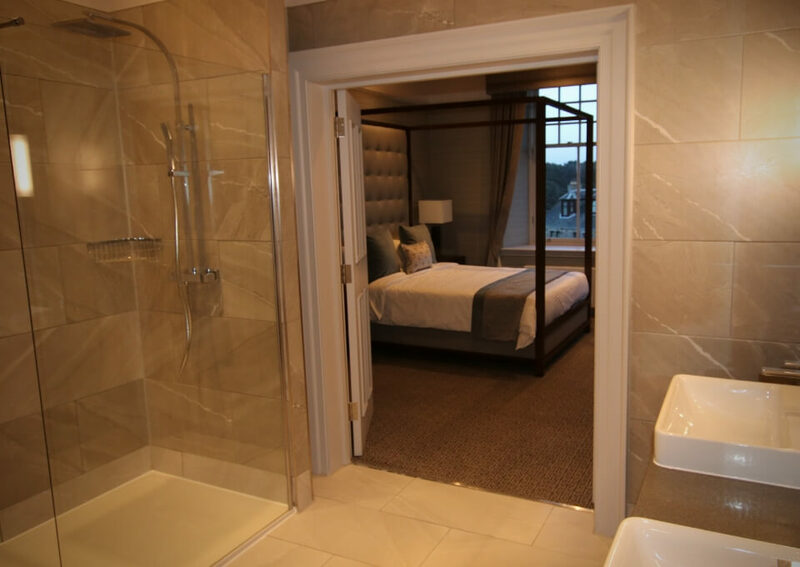 This phase of the project involved the refurbishment of five luxury bedroom suites – two of which can now be promoted as luxurious bridal suites on the first floor of the hotel. – Bespoke commercial joinery manufacturer carried out at our in-house sustainable production facility in Cumbernauld, Glasgow. Phase two is currently underway.